There I was, wondering how I’d manage to bash out a concise work of literature summarising the action in today’s opening FBD League fixture, sitting, as I am, in departures at Dublin Airport. As is now abundantly clear to everyone, though, it turns out I don’t have to as the match was called off due to a frozen pitch at MacHale Park. Clearly, calling a 2pm match off at 2pm – even if it’s only a pre-season game – isn’t the best way of going about things, not least given that at least 2,000 punters were already inside the gate at MacHale Park by then. The frozen conditions obviously meant that postponement of the game was the right call but, of course, there’s no reason the decision couldn’t have been made earlier in the day. For those giving it to the County Board over what happened today, you need to note that this isn’t the right target. The FBD League is Connacht GAA’s gig so this one is on them. Anyway, it’s only January so I don’t think – regardless of all the giving out about everything that’s done nowadays – there’s too much need for righteous indignation. Easy to say, I know, seeing as I wasn’t there but you know what I mean. The main point of note about today’s abandoned fixture – aside from the fact that it didn’t get played – is, surely, the team we named for it. A very youthful one it was too, containing several putative debutants – full details from the match programme (courtesy of @MayoClub51) are here. This alternative Mayo line-up now have to wait until Wednesday night against Leitrim for the chance to shine. Hopefully, the ball will get thrown in then. Terrible to hear so many people abusing stewards today. I know many people won’t be around for midweek games but abusing volunteers from clubs around the county was uncalled for. Crazy decisions today.the game could have being called off earlier .an inconvenience for supporters who travel long distances! I think if the Connacht council had refunded the €10 then people would have being less angry! A bit of general cop on goes a long way and certainly the Connacht council lack that! True Grit, when no announcement was made prior to 2pm,the safe and reasonable assumption that I made was that the pitch was inspected and passed. The decision is not the issue, the timing is. I would never expect anyone to play on a frozen pitch. What happened today was ridiculous. Plenty of supporters came from Galway and I’m sure plenty of people came from places like Belmullet to see the game. Makes no difference to me as I am in town but it is terrible organisation. After travelling from Ennis I’m rightly pissed off. Where was the ref early today? Why did Mayo GAA not flag a concern early in the day. Connacht may run the fixture but the CB were hosting it and could have raised the problem. An alternative venue may have worked. Can anyone tell me what time is the game v Leitrim on Wednesday night and where is the Roscommon game on Sunday? Ger it is not the responsibility of the host to determine whether or not the pitch is playable. That is for the ref to decide. This one is not on Mayo GAA. Supporters assume a game is progressing unless advised otherwise. The issue is not that the game was postponed it was the timing and communication. The GAA should take their cue from the horse racing fraternity who have a proper professional course assessment of the venue. In the age of digital communication, it is very amateur approach to be announcing changes to game fixtures at the eleventh hour. What a shambles today, 2 big mistakes were made, 1if the pitch wasn’t playable at 12 it wasn’t going to be playable at 2pm, all they had to do was look at temperatures, and 2 anybody that wanted a refund should have got it, it is their right. If anyone that went to match and can’t make the next game make sure you get your money back from connaught council,my daughter has already emailed them, she was treated terribly by officials afterwards. It was the Connacht Councils show today and the final decision rests with them and the ref. However I wouldnt absolve the Mayo council totally, the MayoGAA twitter account was posting tweets about the game this morning so supporters would rightly believe the game was going ahead. Of course due to the weather there was always a possibility the game would be called off but with no word of cancellation at 1pm or indeed 1:45pm fans could assume the game was going ahead. Money was taken from loyal supporters on both sides right up until 2pm. Something really stinks, this shows a total disregard for the travelling fans. Connacht Council have recieved maximum gate reciepts today for a game that didnt go ahead and which could have easily been called off much earlier in the day before anyone reached the ticket office. Surely any GAA ref could have been called in to flag a possible issue at 11am and decision at noon. The public announcement not starting with an apology for inconvenience to supporters was pathetically inconsiderate. I actually think that supporters should boycott the rest of the games in the FBD League, why should anyone pay out another cent to these guys if that’s the way that they are going to treat supporters. Maybe that would teach them a lesson to organise things properly for future games. The Mayo supporters are taken for granted way too much. Can we use our ticket from today’s game at Wednesday nights game? As a gesture of goodwill the refixed match absolutely has to be free. This is a right PR stinker to start the year off on. I’d be wondering the same as Yew Tree regarding if ticket can be used at Wednesday’s game. CONNACHT COUNCIL HANG YOU HEAD IN SHAME, You got your MONEY and then treated any supporter who dare ask for their money back with utter CONTEMPT disgraceful again, We all agree no games should be played that endanger any PLAYERS anytime, Its clear the connacht council have no idea what effort supporters make to get to Matches, Supporter of Mayo and Galway travelled large distances to get to castlebar today, Why oh why was there no warning of any kind, oh YES now we know if supporters had known they might not have travelled and there would be less money to take ;;; After any cancellation of any kind they should have offered a Ticket for the replay or your money back why oh why did this not happen. Yes there were Angry people with a very good reason. Even a well known ticket agency will offer your money back in the event of a cancellation, A large number of people will not be able to make the replayed match so they should have been given a refund. Exchange of ticket no good to me as i live in Meath–i understood that the proceeds of the FBD go to the players injury fund 7 if so i am not too bothered. Aren’t they legally bound to refund the money? If the Connacht council have any bit of cope on they will make a statement saying a refund will be available to anyone who was given a ticket today for the refixed date if they so choose to take it. Its not about the money its about respect to the supporters and paying public. Failing this I would strongly suggest that anyone who cant attend the fixture to make sure their tickets are given to someone who can attend. Where is the nearest “small – claims court” in Connacht ? Again I say Mayo County Board not responsible for cancellation of fixture. People did get a ticket for the game on Friday night next. For people who have a ticket and cannot travel, I think they should present this ticket to Connacht Council for refund, or let it allow them one other FBD fixtures. It would be impossible to give everyone a refund today. I,m sure the Connacht Council would facilitate this arrangement. With this game refixed for Friday, it seems that Mayo will now have to play 3 games in 5 days, against Leitrim, Galway and Roscommon, that’s a bit mad at this time of the year. It’s pointless having football and Hurling fixtures so early in January, the weather can be bad thereby upsetting fixtures. Mayo fans should get a refund, without doubt the highest number of County supporters in the championship for the last 2 years, even bigger numbers than the Dubs, Mayo had 60 maybe 70 % of the supporters at the 2017 final. Who ever made the decision with regard to not giving refunds needs not to be making that decision again for the good of gaa in the province. All money today should go directly to the club’s of both counties! 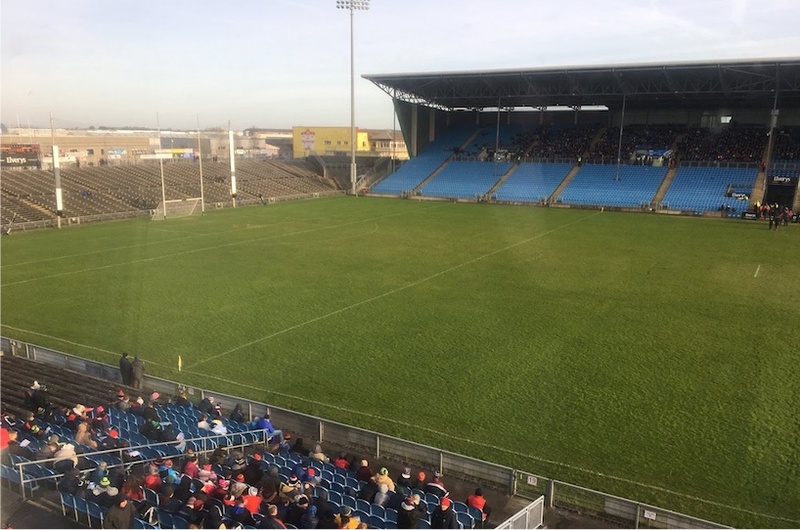 Stephen Rochford said on Mid West Radio that they were told at 1.30pm that the game was likely to be called off The connacht council Were selling Match tickets up to 2pm ????? . I will support this team at every game and I am dying to see how they get on. I will present my ticket on Friday night and I will see how I get on, but I will go in either way. The crowd that turned up today exceeded my expectation it appeared massive to me anyway. The dis-organisation was amature at best. We are all missing the the fact that the team was eventually named. I was surprised to see KK named given he is just back from a long layoff. Would we have been very light up front, I think so. A PR disaster indeed. I wouldn’t condone the verbal abuse of match Stewards though if that happened. Everyone who has a ticket stub surely has to be reimbursed? It’s not on to say “you can use it at another Fbd game”. That’s grand for lads who will be able to attend another game but not every person who bought a ticket will be in a position to attend one of the other games. It’s not even about the money – it is purely the principle of the matter imo. The gates to the stadium shouldn’t have been opened to fans unless the pitch was playable. Would have been very easy to make the decision at 1pm (of course earlier would have been preferable). On a separate note, I see Rochford said Seamie O’Shea, Donie Vaughan and Leeroy will more than likely miss the full league. Chris Barrett will miss the first 4 rounds approx. Will be a tough league campaign missing those lads. Yes the receipt from today can be used for Wednesday night game! Ya I think we’re in big trouble for the league. All the focus will be on Galway and rightly so. Im expecting us to get relegated (especially with Lee an few out). The Nordie teams have been twiddling their thumbs since July, and will be raring to go as usual…Kings of spring if you like. Dublin are Dublin, Kerry will be going all out to bate us, Kildare probley training since October, and will do well before ultimately flopping in the summer. So, Im predicting a bleak league, due to injuries, lack of fitness, and players quite rightly being eased back into the side for what really matters..Galway in May. Have to say today was a total disaster from the Connacht Council , Mayo Gaa etc. Three of us travelled from Tuam and got there just at 2 o clock. I met a Mayo friend outside and he said he heard the game looked dodgy so we went to the ticket van and i asked the guy was the game in doubt and he said it will be played but prob start at 2 30. We paid the 30 euro and went in and didnt even get to our seats when it was off. Went back out to the van at least 5 mins from when we bought the tickets and he wasnt giving us our money back.. You couldnt make this stuff up.. No if its true that they knew at 1 30 the game probably wouldnt go ahead why in the name of God keep selling tickets. The decision on thst game should have been made by Mayo Gaa at 11 or 12noon . Anyways lesson learnt i suppose. @tuamstar Connacht council run fbd league games not mayo gaa. It’s no wonder Croke Park had no problem sending us down the country to play an all ireland semi final.a few years back when they see how our own boards treat us. If you pay.for a product and don’t get the product anything other than getting a full refund is stealing. It’s like if a man paid for his wedding suit and went to pick it up the.day before.the.wedding. Then to be told “actually.the.suit isn’t ready”. Also been told he’s not getting his money back, and.then he’s given a kick up the arse on his way out of the shop and told he can pick up his suit 3 days after the wedding. Anyone who paid in to today’s match should have been refunded today. They should also have been given a free pass to the rescheduled match, if they decide.to go, to make up for all the inconvenience they were put through today. The best supporters in the country treated like s##t again. There seemed to be a very small crowd in Castlebar today only around 1500 I would have thought. Delighted to have 5 games in next 2 weeks. Aidan , of course i understand but surely someone from Mayo Gaa coild have checked the pitch and reported that to Connacht which maybe that did happen. Mr prenty and his crew are the main men to blame for today’s fiasco. A very simple solution to this problem is that a pitch inspection is carried out 1.5 hours before scheduled start time. If the pitch is not playable at this stage – then the game is called off. No more wait and see rubbish – not fair on supporters. Supporters who got these passes today should be given free entry to next game on Friday and a €10 refund for today at the gate Friday evening. How come the back pitches were fit to warm up on before the match, and down on after it was called off, and the main pitch wasn’t? I won’t be boycotting the matches or supporting the new faces that are lucky to get their chance in the Mayo Jersey. Christ its not their fault that someone messed up today .Get over it and support the lads . I travelled close to an hour to get to the game today too like everyone else I was disappointed. Time for us all to get over it now and start supporting our team again. Interesting line up today, pretty exciting full forward line in particular. 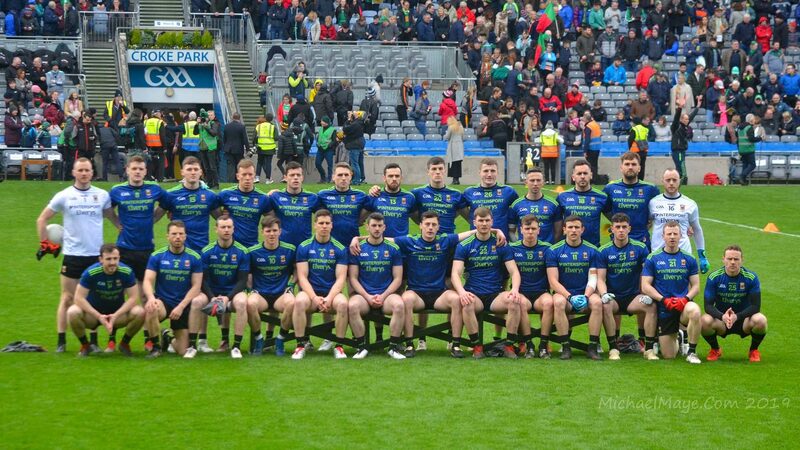 Hopefully we get to see these young guys on Wednesday and Friday in Mchale park. The Connacht council and John Prenty are the men to blame here.They kicked out the 3rd level colleges cause they didnt bring the crowds to games and now theres an extra round as well in the FBD to bring in more money.He got rid of the Connacht railway cup team of his own accord and has probably put an end to the Railway cup one of the best competitions in my opinion if the Gaa marketed it properly and played it in Croker before the lead up to an All Irland final.Connacht council just didnt want the expense of preparing a Connacht team. At Castlebars Connacht club championship games in November they were charging €15 into games total rip off would turn off a neutral showing up to these games and then today they didnt offer a refund for a game not going ahead you cudn’t make it up. Connacht Council have a lot to answer for ,a gang of cowboys!! In a crowd of less than 2000 I think most supporters there today will attend at least one other FBD game this year so I think only a very small percentage of crowd are effected by not getting refund. Highkings Well said and it needs to be pointed out. The Mayo team and management are not responsible for this. Some stewards were put under enormous pressure yesterday and it was unfair on them also. As a goodwill gesture, the Connacht council might consider allowing supporters with tickets for yesterday to exchange them for tickets for the Mayo vs Galway game in May. That is also a Connacht council fixture and such a gesture would reward the genuine supporters who braved the cold to support their teams yesterday. It seems that Mayo will now have to play 11 games in an 11 and a half week period, add to this the younger players having to play for their colleges at this time of the year as well. Then players will be expected to play for their clubs in April and we are into the Championship then in May. So much for player welfare! P.S. That would be 12 games in an 11 and a half week period if Mayo made the final of the FBD League. Parkoncroakie, I dont think anyone has an issue with the decision to postpone the game, the pitch wasnt playable which is fine. The right call was made. The issue is the timing of that call, two mins after throw in is not the right time. The pitch should have been inspected at midday and decision made then. It was actually farcical what was going on, people were coming in one trunstile having to turn right around and go out another and not get a refund. Some of them im sure didnt get to see the grass on the field. Hope springs, I see your point regarding player burn out, its a lot of games to be played in a short space of time. Another issue I havent seen mentioned is these midweek games, most of the players used in these pre season competitions are younger college students, not sure its fair to be bringing students back for midweek games, surely their studies should take precedence over friendly games. Also alot of colleges hold exams this time of year. Good point there Mayomad, it must be very tough alright this time of the year for students trying to juggle their studies and their football. You’d wonder should these pre-season games be scrapped altogether or at least just make them knock out games so that teams would have only to play 2 or 3 games max (if a preliminary game is included). Counties should be well able to organise inhouse internal games at their own convenience to decide what players are good enough to progress into the league panels.